It’s shocking how many aches and pains you can develop by simply existing. By the time you hit 30, a strenuous bout of gift wrapping or cooking a pot of gumbo can leave you sore. 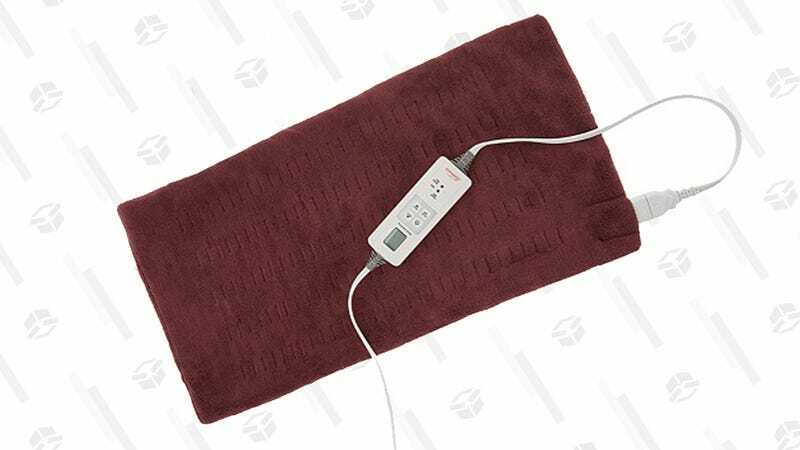 But Amazon, in its mercy, has discounted the Sunbeam King Size MicroPlush XPressHeat Electric Heating Pad to just $28 to help us battle discomfort at this demanding time of year. It works just as well as a hot bath, and it’s far more portable and discreet. You can use it at work or in bed, and I even pack mine for travel when I think my body might be put through the wringer. And by that I mean, if I could possibly be forced to sit or stand in a slightly awkward position for more than 90 seconds.